Shed begins slightly chaotically. Four male performers dressed in paint-splattered overalls hammer, saw, plane, paint and chisel loudly and with undisguised enthusiasm. Immediately we know that this can’t be anything but real Aussie suburban stuff, four blokes in the shed up the back, making things. With swift, deft strokes, choreographer Paige Gordon sets the scene. The chaos subsides and the opening activities give way to a perceptive and moving exploration of a male space and its emotional landscape. Set against a wall of painted corrugated iron sheets, a design by Cherylynn Holmes, dance sequences and personal ‘shed stories’ sometimes alternate and sometimes occur simultaneously. 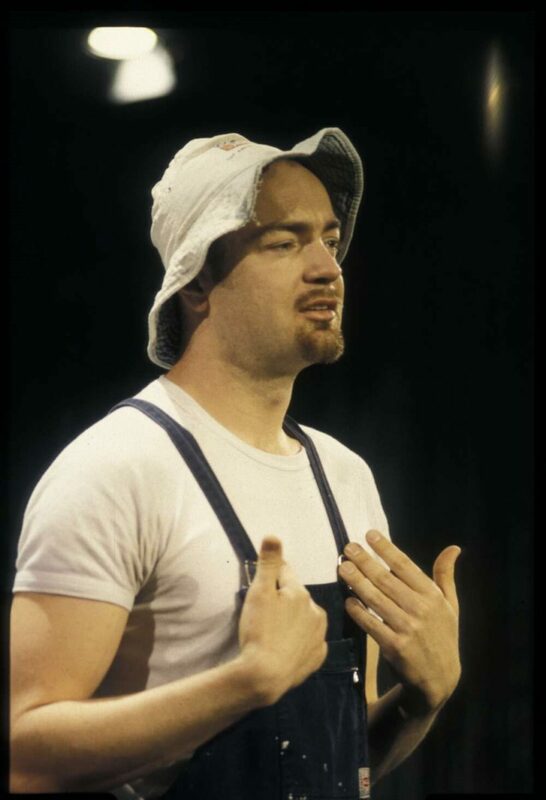 In one section John Hunt, tall and lanky with a winning expression that suggests he could talk his way out of anything, suddenly reveals himself as vulnerable and even romantic as he explains how his father used his hands to make an assortment of things for his children. 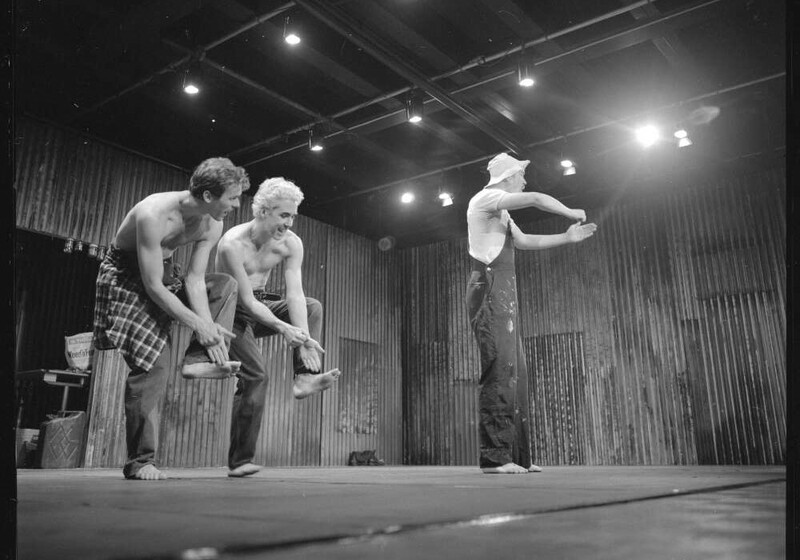 In the background James Berlyn, Martin O’Callaghan and Jonathan Rees-Osborne roll gently from one side of the performing space to the other, pausing occasionally to become involved in gentle and intricate movements that focus on the hands. The hands clench together, they press onto the floor, they cut through the air. Dance and storytelling comment on each other and, while the choreography is simple, sometimes setting up apparently naive connections, its quiet subtlety speaks volumes. Other sections are less romantic. One, led by James Berlyn, is full of anger and frustration. Stories about projects gone wrong are followed by a cathartic passage in which the four dancers hurl themselves at the corrugated iron walls, banging, shouting and kicking. But this hot-tempered scene is followed by another in which these men seem gently aware of their innate capacity for tenderness as they slowly run their hands and bodies along the same corrugated iron that had just served as a whipping post for their anger. Shed, made in 1994, is a work of rare rigour. Tightly structured, it sets the scene, gets on with it and doesn’t get bogged down trying to say the same thing for too long. I guess it’s laconic in a good Australian way. And its unselfconscious and unpretentious simplicity seems very Australian too. The work is also unusually personal. 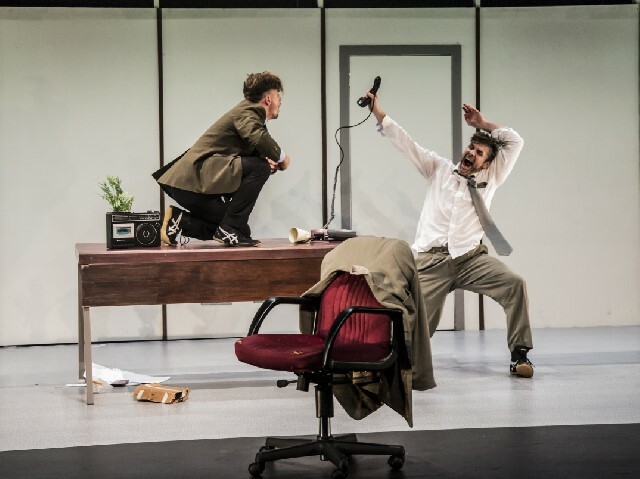 You almost feel like talking to the performers and telling your own similar stories, yet you know the work is, rightly, too self-contained and theatrically coherent for that. But the extent of involvement that the piece allows is remarkable. Humour and pathos, laughter and sadness, insight and much self-recognition spill though the piece. Shed is a gem, a distinctively Australian gem. I also spoke to Gordon for a Dance Australia article published in the issue of April-May 1995, and for a story in the National Library of Australia Magazine (March 1997). In both instances she spoke of making Shed, stressing that she had been involved in a number of works with an all female cast and that she was interested in working, by contrast, with an all male cast. ‘I wanted a chance to come up with things that were as magical and as gentle and as emotional as was possible with the female-inspired things I had been involved in,’ she said. Shed. 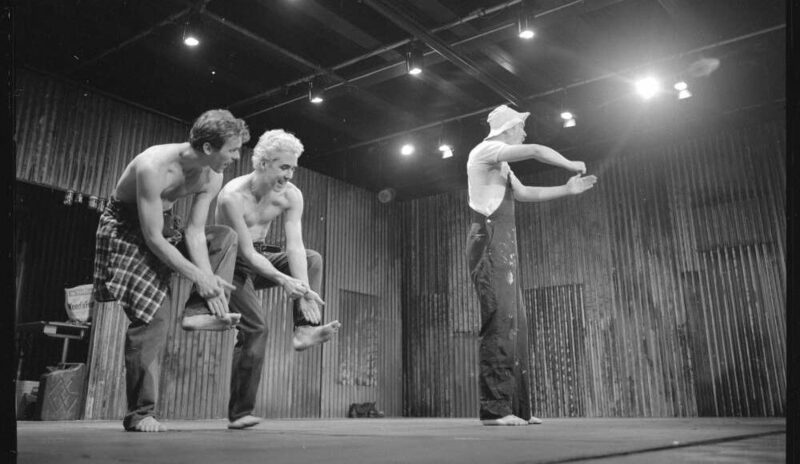 A place where men can dance won Gordon a Canberra Critics’ Circle Award in 1994. What will Gordon say for her BOLD presentation? Registration for BOLD II is via this link. Images published with permission of the National Library of Australia. As New Year approaches I like to think back over Old Year and, without consulting notes, check what dance highlights remember themselves. During 2018 we have lost four treasured and hugely important people from our dance / arts community. 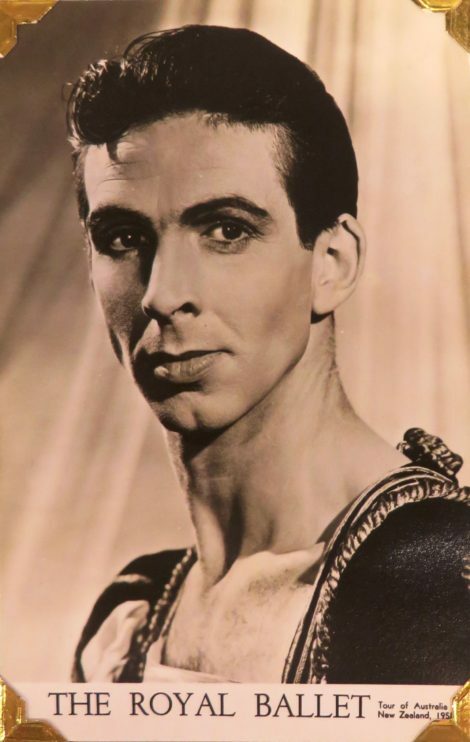 Nigel Boyes, dearest friend and colleague to so many dancers, particularly members of Royal New Zealand Ballet where he was office manager and archivist for many years, and was also a member of prominent Wellington choirs, died in July. (His obituary is on this website). Sue Paterson, legendary force in the arts, held a sequence of important positions in dance management over decades—at Limbs Dance Company, at Creative New Zealand, at RNZB, as director of the International Arts Festival—and was a generous member of many governing boards. (Her obituary is online at stuff.co.nz). 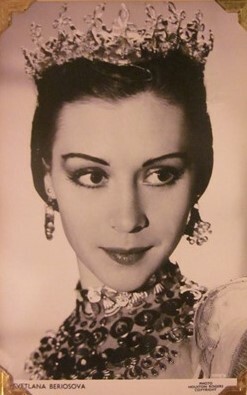 June Greenhalgh, wife of Russell Kerr who was a stalwart pillar of ballet history in New Zealand, was a foundation member of England’s Festival Ballet. 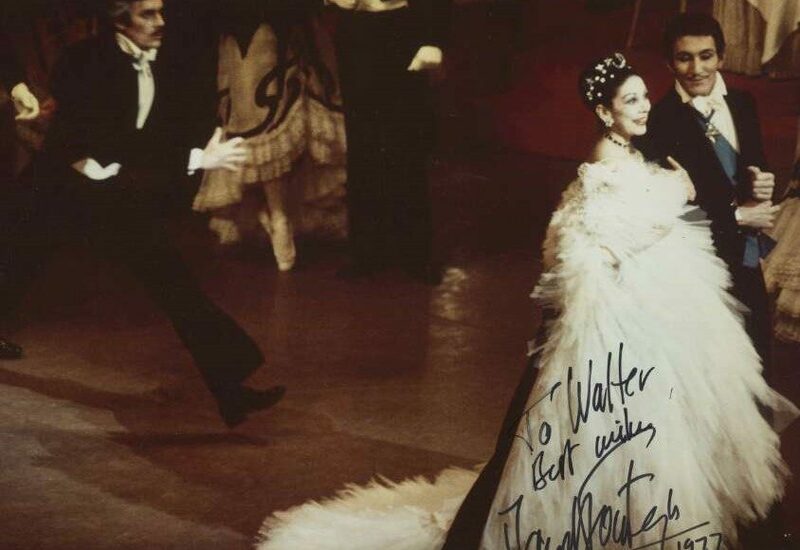 She performed here in the 1959 – 60 season of New Zealand Ballet, but her abiding contribution was as the lifetime companion to Russell. (Her obituary is on this website). Douglas Wright, giant of New Zealand dance makers, hugely prolific choreographer and indelibly memorable dancer, was rehearsing his last choreography, M-Nod, from the hospice. He was an artist without peer in this country—working also in literature and in visual arts. (A review of M_Nod, and an obituary, are on this website). In February we were delighted by the spirited response to the inaugural session in the series of the Russell Kerr Lecture in Ballet & Related Arts, held at Victoria University. The lecture, on Kristian Fredrikson’s life and work in theatre design, was delivered by Dr. Michelle Potter who has since continued work on her biography of Kristian which is now heading towards publication. 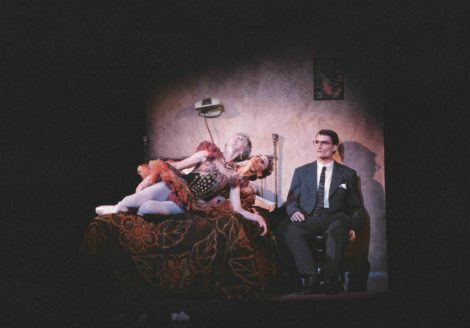 The occasion also included the performance of Loughlan Prior’s choreography, Lark, with Jon Trimmer and William Fitzgerald in the cast, and Hamish Robb accompanying on piano. A trip to Auckland’s Arts Festival was warranted to see Akram Khan’s dramatic and atmospheric production Giselle performed by English National Ballet. Tamara Rojo, the young artistic director and manager of this company, is clearly a leader of intelligent and visionary force. 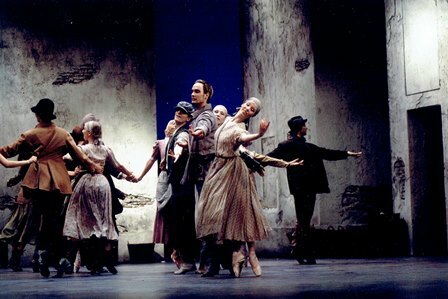 It’s always edifying to check the New Zealand involvement in the history of any dance company and there are several prominent soloist careers to note of New Zealand dancers who performed with English National Ballet, formerly Festival Ballet—Russell Kerr, Anne Rowse, Loma Rogers, Donald McAlpine, Martin James, Adrienne Matheson, Cameron McMillan among them. In Wellington’s International Arts Festival, the hugely memorable Loch na hEala/Swan Lake by Michael Keegan-Dolan (of Fabulous Beast Dance Theatre fame) had the stellar Alex Leonhartsberger in the lead male role. Alex has previously danced in Douglas Wright productions and it was a renewed thrill to see him in this season. Keegan-Dolan’s work has interested me intensely for some years and I rate him, with Lin Hwai Min and Douglas Wright, as the three choreographers who have kept my world turning for decades. An intriguing new project, under the auspices of this Festival, will next year have Keegan-Dolan in residence here, developing a new work and offering a public involvement for those interested to trace that process. 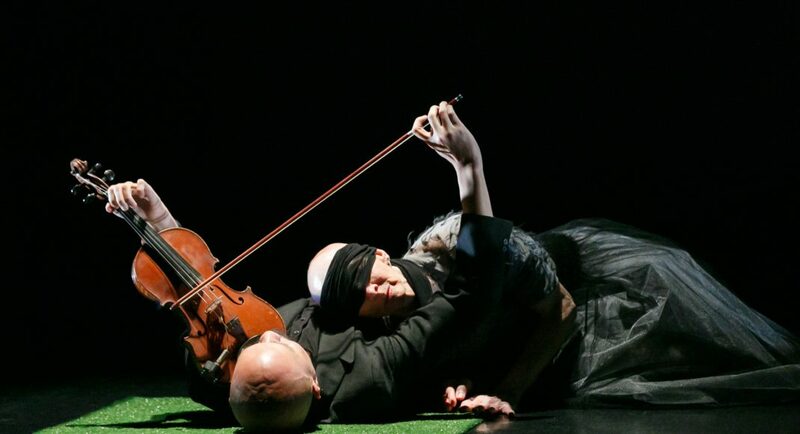 Betroffenheit, by luminary Canadian choreographer Crystal Pite, in collaboration with Jonathan Young, was another highlight of this Festival season. Its theme explored the reactions and after-effects of an unspecified catastrophic event, and suited well the mood of disastrous developments we see in current world affairs, as well as referencing tragedy at a personal level. It proved a remarkable and mature work of theatre. Closer to home we saw the remarkable season of Meremere by Rodney Bell. This has rightly proved an award winning choreography and performance, produced under the auspices of Malia Johnston’s MOTH (Movement of the Human). Rodney lives and works in a wheelchair, but his mana and charisma in both his life and his dance are the operatives. It takes about five minutes to forget the fact that he’s using a wheelchair. His stories are what matter. Sarah Foster Sproull also made Drift, for Rodney and a female dancer, resulting in a miraculous menuet for our time. 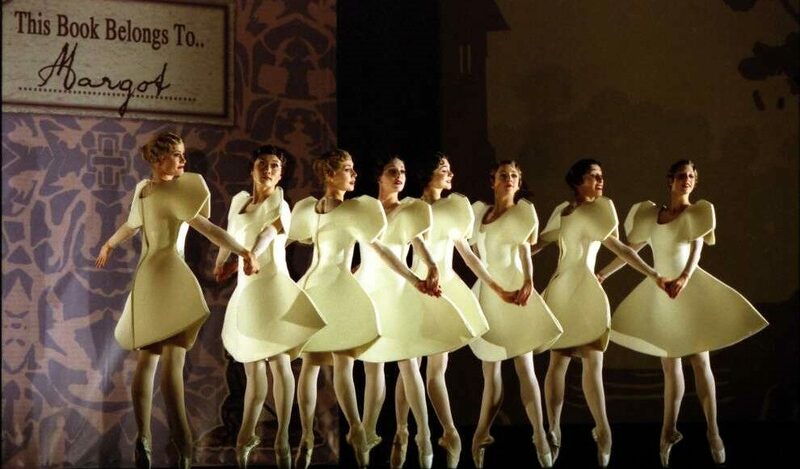 The second half of RNZB’s Dancing to Mozart—in two works by Jiri Kylian—revealed the calibre of both choreography and performance we have been accustomed to from our national ballet company. 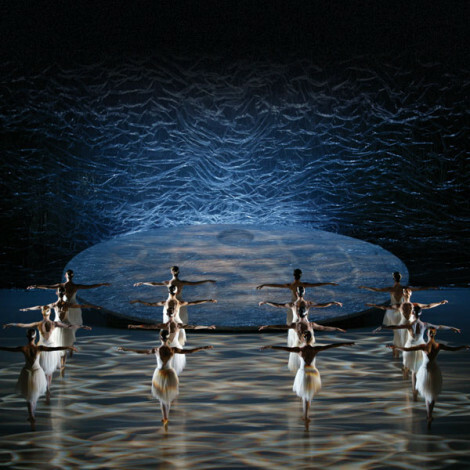 At New Zealand School of Dance graduation season, two works After the Rain by Christopher Wheeldon, and Wicked Fish by Cloudgate choreographer, Huang Yi, proved outstanding. The time-honoured question from Irish poet W B Yeats, ‘O body swayed to music, o brightening glance, how can we know the dancer from the dance?’ always comes to mind when choreography and performance are equally inspirational. There’s a causal connection of course, but it’s a symbiotic and reflexive one between dancer and dance. 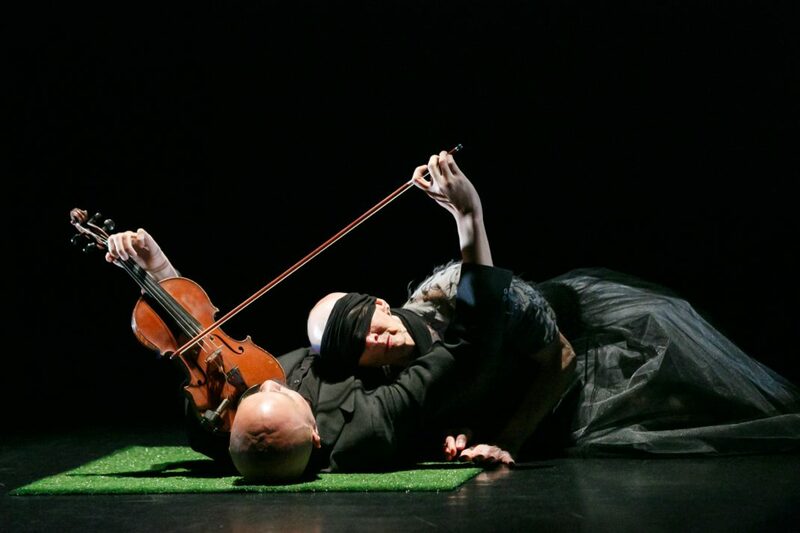 Tempo Dance Festival billed Between Two—with works by Kelly Nash and by Douglas Wright. That season, reviewed on this website, is remembered as a most poignantly crafted, perfectly balanced program with birth and death book-ending the life between. No more fitting tribute to Douglas Wright’s astonishing body of work could be imagined. I do not expect to see again anything like this multi-talented artist who was so resolute in communicating his vision. There was a heartfelt memorial service held in his favourite Cornwall Park in Auckland, and then gatherings at both Nga Taonga Film Archive and City Art Gallery in Wellington, to hear tributes and watch fine films of Wright’s work, including the stunning documentary, Haunting Douglas, made by Leanne Pooley. Many were very sorry that Anton Carter’s contract as director of DANZ, the national networking agency, was ended, since he had been a stalwart and popular supporter of dance events and individuals across many different forms and communities. Although now working at Museums Wellington, he continues to attend performances and that is the kind of loyal support, outside the call of duty, that is so appreciated by dance practitioners. The news is recently announced that Lucy Marinkovich, outstanding dancer/choreographer working independently on projects with her partner and colleague musician, Lucien Johnson, are the joint winners of the Harriet Friedlander award which gives them $100,000 to reside in New York. When asked ‘How long will you stay there?’ they answer ‘Till the money runs out’. I personally and rather selfishly hope they do not get offered something they can’t refuse since I want to continue seeing their fresh and invigorating dance work here. They have wit and style and ideas, together with all the skills needed to bring dance and music alongside each other where they belong. More of that is needed for all our sakes. In the books department, Marianne Schultz’ history of Limbs Dance Company—Dance for the People— was welcome (see my review in New Zealand Books, December 2018), as also was the memoir of Sir Jon Trimmer—Why Dance ? by Jon with Roger Booth (my review of that is on DANZ website). 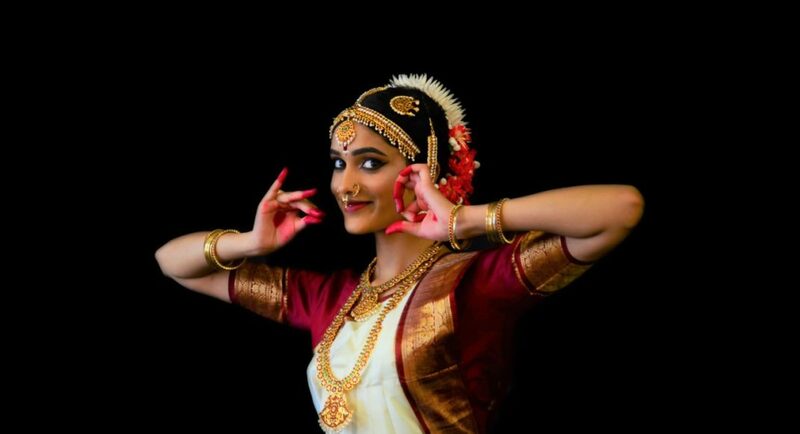 As I write this retrospective I am still happily high from last night’s astonishing Indian dance event—the arangetram, or graduation recital, of Leeshma Srirankanathan, student of Sri Vivek Kinra, of Mudra dance school and academy. 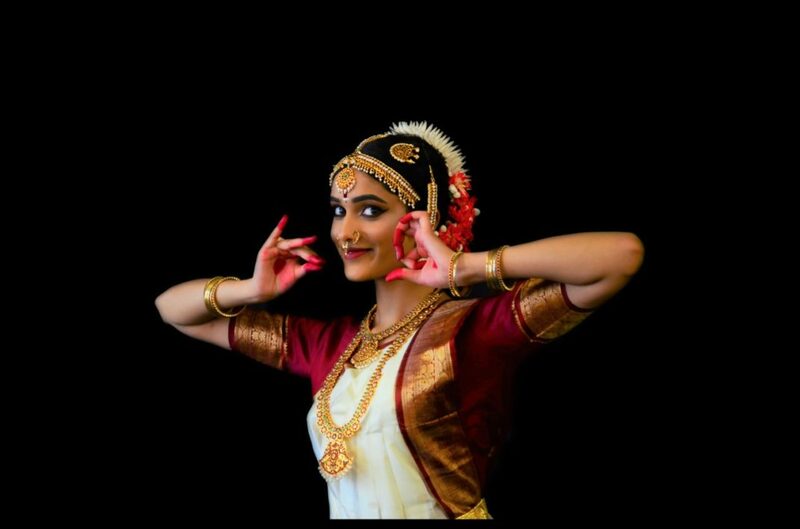 This was a two hour wonder of solo performing by an extremely talented 18 year old dancer, and the 42nd arangetram directed by Kinra in his 30 years as a master teacher here in Wellington. Leeshma’s Hindu father and Catholic mother were each honoured in the opening prayers and puja of this event. A lesson of peace and tolerance to the world I reckon, if only the world would listen. Happy New Year to all readers, and my thanks to Michelle Potter for hosting this website so generously. Globalisation or culturalism. Is ballet at the crossroads? In December 2002 I wrote an article, at the request of Bruce Marriott, for ballet.co magazine (now no longer available) to coincide, if I remember correctly, with a conference of artistic directors held in the United Kingdom somewhere (perhaps London?) I think the commission came because David McAllister, then quite new in the role of artistic director of the Australian Ballet, was attending. As with many of my other articles and reviews for ballet.co, I thought it had disappeared from my computer files and I had not made a print out. But just recently it appeared when I was searching with the term ‘Nutcracker’ for another thought-to-be lost file. So I am posting it here and welcome comments from a 2018 perspective. The debate is historically interesting, and the discussion generated two of the best-known period books on Australian culture and identity: Geoffrey Blainey’s The Tyranny of Distance and Geoffrey Serle’s From the Deserts the Prophets Come (later, in an attempt to popularise, or globalise perhaps, the Serle book was renamed The Creative Spirit in Australia). Advances in technology of various kinds have, of course, made the idea of the tyranny of distance pretty much an obsolete concept. Globalisation, however, is clearly with us: it is part of the fabric of our contemporary existence. It has permeated every aspect of the way we live and operate in the twenty-first century. And while many of the inhabitants of the northern hemisphere may still think of Australia as out of scope, few Australians (thankfully) now believe that distance hampers their ability to interact with the rest of the world. So where does this leave the individualism that we rightly prize so highly? What do we do with the savage and scarlet that has so flamboyantly grown? Or even with the green hills if we are on the other side of the world? Do we sit back and allow globalisation to turn what is unique about our individual dance cultures into something bland and universal? Or do we embrace culturalism, accepting that, while communications may have changed the way we operate in the world, our individual cultures cannot develop in a similar way? 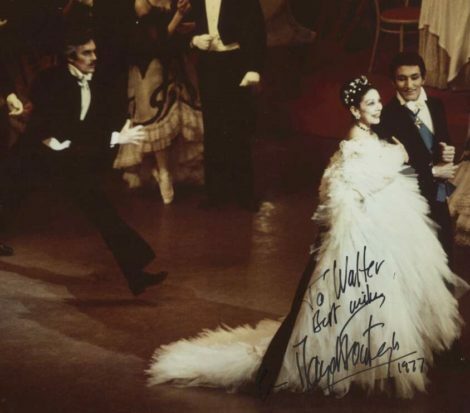 Do we sit in our theatres from London to Sydney, from New York to Melbourne, all seeing the same works: a Giselle respectfully produced, Manon, a couple of items from Balanchine, The Merry Widow and so on. Or do we each go for something culturally specific (a Murphy Nutcracker, an Ashton work from the early repertoire), and for individualistic reworkings of the tried and true (a Guillem Giselle, a Murphy Swan Lake)? Is one way the only way? The right way? The wrong way? Neither bowing to globalisation nor strictly adhering to culturalism is the answer. Culturalism smacks of attitudes of superiority and cultural elitism—my culture is better than yours. It closes the mind to innovation and change. It indulges in smugness and name calling (the vile expression ‘Eurotrash’, beloved by one particular British critic, springs immediately to mind). It is a stultifying attitude. On the other hand, globalisation removes what we value about ourselves as individuals in unique cultures, what our specific histories have created and asked us to cherish. But defiantly, ballet is perfectly able to accommodate itself within a global society without losing anything. Ballet isn’t dying. It isn’t even at the crossroads as it encounters globalisation. Ballet is like a sponge. It can soak up change: it has been doing so for centuries. It can absorb new vocabulary. It can keep renewing itself from what it absorbs. It has to be able to operate in this way because it is a living, breathing art form. Even the most superficial glance at photographs of acclaimed dancers in the same role taken over several decades, in Giselle for example, makes it very clear that while we may want Giselle to stay the same—the past is very comforting—it can’t and hasn’t and won’t. In fifty years time dancers won’t want to dance Giselle like Alina Cojocaru (hard as that idea may be to comprehend at the moment). 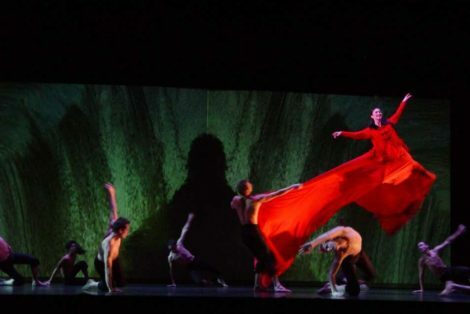 In the twenty-first century the ballet-going public is entitled to green hills sprinkled liberally with some savage and scarlet (and I mean this more widely, more figuratively, than simply British works sprinkled with Australian ones). Dancers are, for their growth as artists, entitled to experience the work of choreographers outside their immediate, culturally-specific environment. Choreographers are entitled to wonder (and experience) how their works might look when danced by dancers trained outside the choreographer’s home country: the great ones do (and have) and are open and generous about the experience, as any dancer from the Australian Ballet who has worked with Jiří Kylián on any work from the Australian Ballet’s Kylián repertoire will tell you. Critics need to open-minded enough to embrace change and innovation while caring about the past. And artistic directors need to understand it all! The artistic director of a truly great company needs courage, intelligence and drive. Courage not to be swayed from his or her vision. Intelligence to have a vision that looks both forward and in a lateral direction and, going hand-in-hand, intelligence to understand that looking in this manner and direction is not a denial of the past. Drive to put the vision into practice. Globalisation is a much-maligned concept. It doesn’t have to exclude anything really. But to react to globalisation uncritically, and to allow it to dictate to us is the problem. To do this is to lack courage, intelligence and drive. That we can see new works and restagings of old ones from London to Sydney, New York to Melbourne is a gift of globalisation. If we wish to deny that gift by insisting on culturalism it is a measure of an inability to exist in a global culture, in today’s culture, and a pitifully conservative attitude. But one thing is certain, whatever the response of individual people ballet will keep moving forward. It will never fall victim to a narrow culturalism. Only people will do that. Let’s hope that the new breed of artistic directors understands. 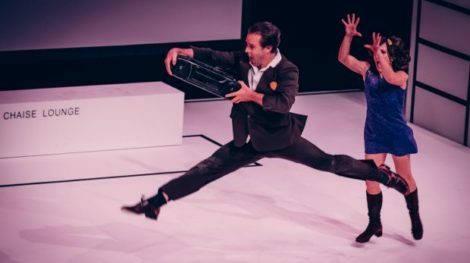 Recently I spoke to Shaun Parker about his work Blue Love, which will have a short season at the Canberra Theatre Centre later in August. I was somewhat taken aback (to put it mildly) when I saw the byline for the article that appeared in the print version, and its digital copy, of the The Canberra Times (Panorama) this morning (Saturday 5 August 2017). Apparently someone thought Karen Hardy wrote it. She didn’t. I did. Here is the unchangeable byline I saw this morning. Dancer and choreographer Shaun Parker always enjoyed taking dance classes as a young boy in Mildura, Victoria, where he was born. But he went on after he’d finished school to study science at Monash University, and it was there that dance re-entered his life. He discovered a dance society at Monash and found himself dancing every night. 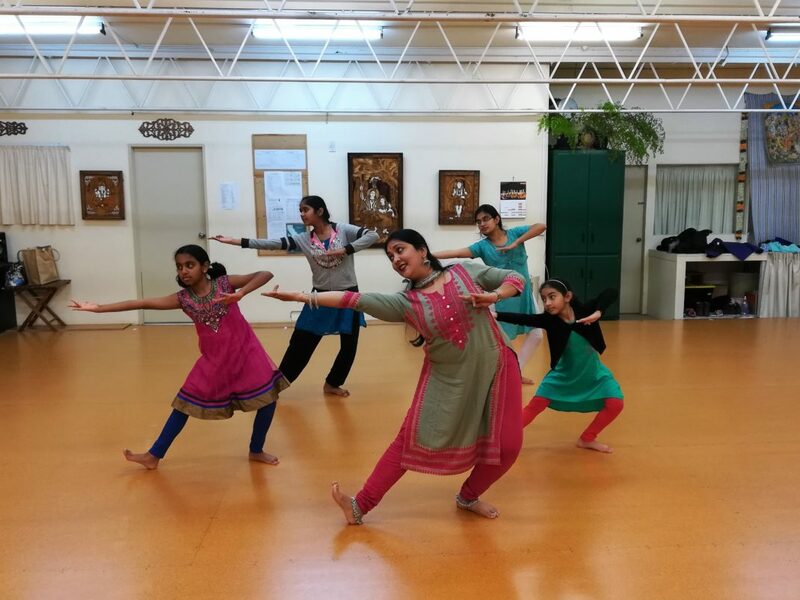 Dance, with its wide range of collaborative elements, became an all-consuming passion for him and he enrolled at the Victorian College of the Arts with the aim of eventually pursuing a professional career as a dancer. Not long after graduating from his tertiary dance training he was selected by Meryl Tankard to join her company, Meryl Tankard Australian Dance Theatre, which was just starting up in Adelaide. He stayed with Tankard for seven years, touring across Australia and around the world with her company. Parker worked as an independent dancer for the next six years with companies in Australia and overseas, including with leading choreographers and directors such as Kate Champion in Australia, Meredith Monk in New York, and Sasha Waltz in Berlin. But eventually the lure of choreography took over and he began working as a freelance choreographer. It was not long, however, before he realised how difficult it was to work in that way, self-producing, writing grants alone, under-taking all the administrative tasks single-handedly, and so on. It was time, he thought, to set up his own company. It took a year or two of organisation, but Shaun Parker & Company came into being in 2010. For Canberra, Parker is restaging Blue Love, a work that began back in 1999 when Parker and fellow performer, Jo Stone, were working in Vienna. They went to a karaoke bar one night and started singing along for fun. Parker says they were ‘daggy pop songs’, but they were all about love and it struck him that sometimes a one-liner from a pop song could be intense and meaningful. It set off a chain of events that culminated with Parker and Stone making three short films, shot in North Bondi. The films were screened around the world—Athens, Berlin, Krakow, London, Melbourne, San Francisco, Verona. Blue Love, the stage show incorporating the films, premiered in 2005. It examines the idea of perfect love and takes the audience on a multi-media expedition in search of the perfect relationship through the experiences of a couple, Glenn Flune played by Parker and his wife Rhonda performed by Lucia Mastrantone. It is a work that Parker describes as part lecture, part operatic theatre, and part group night, and the films are projected onto the wall of the room that forms the set. They become the home movies of Glenn and Rhonda, which they share with the audience. But Parker also remarks that Blue Love is a highly physical work and he is only too aware of its demands on his body, especially as he has not performed himself for a while now. So he has been taking ballet classes, doing yoga, doing push-ups, running along the beach, and engaging in other physical activities to get back his former strength. But he says he keeps thinking about what he has to offer audiences who come to see Blue Love now. I have to admit to disliking intensely the dumbing down of Graeme Murphy’s Nutcracker. The story of Clara with the ridiculous description of it as ‘The Gum-Nutcracker.’ The work might have strong Australian resonances, but it is much more than a story about early developments in Australian ballet. The so-called ‘affectionate dubbing’ of it with reference to the fruit of the eucalyptus tree makes the work sound pathetic. Below are a few published comments that suggest that we should grow up and resist the temptation to trivialise. When foundations are sandy, it’s better to re-lay them in concrete. And that is indeed what the brilliant Graeme Murphy has done in his version of the ballet, which, having subtitled The Story of Clara, he conceives it, as Bournonville did his ballets, as ‘frames around the biographical and travel pictures which constitute [an] actual theatre life’. The snowflakes’ wild pirouettes with upflung arms … show how inventively Murphy can work within restrictive confines of the danse d’école. Indeed one can’t help thinking that the writing for this ensemble is deliberately transitional, Petipa Duncanised as it were. And because ‘Petipa Duncanised’ is all but a synonym for ‘Fokine’—at least the Fokine of Les Sylphides—this episode illustrates the transformation that the very art of ballet witnessed during Clara’s childhood. And then it goes on about the ballet itself. In 1892 the crit said, ‘Ballet is sliding downhill having lost its footing and moving away towards some kind of fragile and sugary Nutcracker.’ And then in Australia, ‘With Nutcracker the Australian Ballet came of age.’ I juxtaposed those two because it is relevant to the production. Maina Gielgud had asked me years ago to think about doing a Nutcracker and I’d rejected the idea on the basis that the story was silly, the piece was clichéd, and I’d never really seen one I liked. What we have with Murphy’s visionary production should be regarded, especially by those who write media notes, as a ballet of international reach. Save gumnuts for other less sophisticated things. But if some see a need to dumb down the work with a crazy name (in order to attract more people and bring in more money?) then perhaps they should rename the Australian Ballet the Ocker Ballet? All quotes from Professor Edgecombe are from Rodney Stenning Edgecombe, ‘Graeme Murphy’s Nutcracker.’ Brolga, 17 (December 2002), pp. 23–32. Lee Christofis, ‘Coming of age. Retrieving history with Dame Margaret Scott and Valrene Tweedie OAM.’ Brolga, 13 (December 2000), pp. 44–58. All quotes from Murphy are from ‘Graeme Murphy. Humanity revealed’ in Michelle Potter, A passion for dance (Canberra: National Library of Australia, 1997), pp. 61–77. See also the text of a program article I wrote for the Australian Ballet’s 2009 season of Nutcracker. The story of Clara. As a concluding remark I wrote, ‘This is a Nutcracker to be loved and cherished. Its Australian connections are heart warming and a source of pride and pleasure. But the dramatic text is universal.‘ Here is the link. 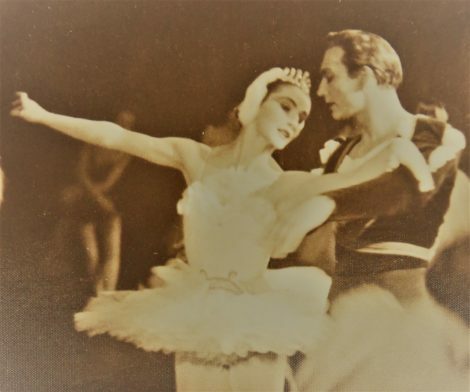 In February 2000 I wrote an article for National Library of Australia News on the dance photography of Walter Stringer, who before he died donated his very extensive collection of images to the National Library of Australia in Canberra. 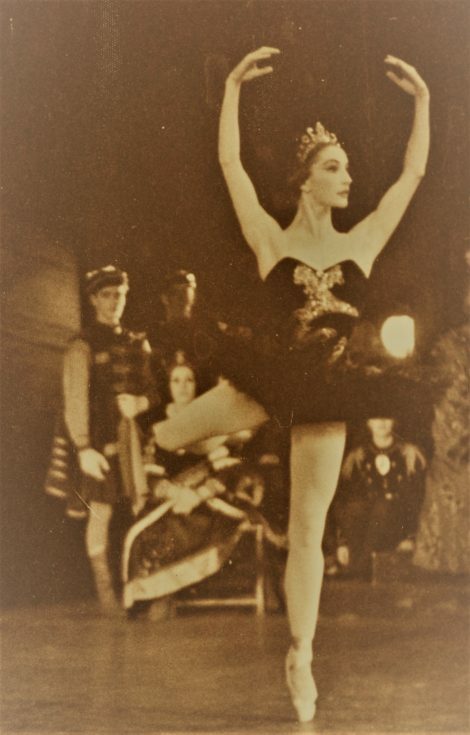 In the light of the recent discussion about the dancer portrayed in photos of Swan Lake in my recent post about the 1958 Royal Ballet tour to Australia and New Zealand, I thought it might be worth making the Stringer article more readily available, and adding a little about some of the Royal Ballet images included in the Stringer collection. Follow this link to the National Library of Australia News article. Please note there is an error in the caption for the Swan Lake image used in the article. It is not, of course, Anne Woolliams and corps de ballet in the image but corps de ballet in the Anne Woolliams production! This was an editorial mishap. Unfortunately the Royal Ballet material is not fully digitised so most of it can only be viewed on site at the National Library. This non-digitised component includes an album of 43 photos relating to the 1958 tour. The album came with a list created by the photographer. What follows is a slightly expanded version of the list, although no changes have been made to Stringer’s identification of dancers or ballets.